Aedes aegypti is a type of mosquito that spreads Zika, dengue fever, yellow fever, and chikungunya virus. Zika virus is a mosquito-borne flavivirus that was first identified in Uganda in 1947 in monkeys. It was later identified in humans in 1952 in Uganda and the United Republic of Tanzania. Zika virus disease is caused by a virus transmitted primarily by Aedes mosquitoes, which bite during the day. Symptoms are generally mild and include fever, rash, conjunctivitis, muscle and joint pain, malaise, or headache. Symptoms typically last for 2–7 days. Most people with Zika virus infection do not develop symptoms. Zika virus infection during pregnancy can cause infants to be born with microcephaly and other congenital malformations, known as congenital Zika syndrome. Infection with Zika virus is also associated with other complications of pregnancy including preterm birth and miscarriage. An increased risk of neurologic complications is associated with Zika virus infection in adults and children, including Guillain-Barré syndrome, neuropathy, and myelitis. Using genetically modified mosquitoes can help to eliminate the population of mosquitoes. Oxitec is a biotechnology firm based in Key West, Florida. They are trying to introduce genetically modified Aedes aegypti males into the local mosquito population, if they succeed the population of mosquitos will be wiped out from there and help protect people from Zika transmission. Oxitec’s plan is to inject mosquito eggs with DNA that contains lethal genes, then release the genetically modified males from that batch of eggs so they can mate with wild females. Male mosquitoes do not bite; so, releasing only males is a way to make sure the release of these insects does not contribute to the spread of disease. The offspring of these lab-tweaked males and wild females, having inherited the altered DNA, cannot survive to adulthood. Oxitec claims its method of mosquito reduction would be more effective than traditional insecticide and would cost about the same or possibly less. To get rid of all mosquitoes many more things must be done, this requires getting rid of standing bodies of water, putting up window screens, and doing house-to-house insecticidal spray. 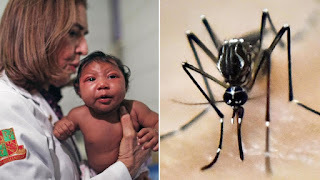 In my opinion using genetically modified mosquitoes could help to reduce the danger of getting zika virus and other illnesses from them, which could save many lives, specially of pregnant women that get bit by them and the fetus is prone to be born with congenital malformations. The fact that they are going to use more mosquitos to get rid of mosquitos is very smart in my opinion, and seems like the better option than insecticide. Mosquitoes are such a pesky, annoying insect that many people have issues with, regardless of contracting Zika virus from the most harmful of them. Being able to modify the mosquitos that are produced and mated with, with the public interest in mind, sounds like a great idea.